Chris Tonsmeire began his military career after his freshman year of college, enlisting in the US Army Reserves as a Combat Engineer assigned to the 841st Combat Engineer Battalion (Wheeled). Shortly after his enlistment the events of September 11th, 2001 changed his education plans. Chris received a conditional release from the US Army Reserves to enter active duty as a Special Forces Recruit. After re-classing Infantry he attended Special Forces Assessment and Selection and completed the “Q” Course at Fort Bragg. 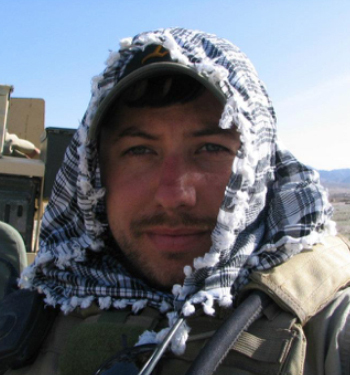 He was assigned to ODA 785 of the 7th Special Forces Group (Airborne) with whom he served two combat tours in support of Operation Enduring Freedom. During his second tour he was wounded in action and was unable to remain an active member of Special Forces. In 2009 he separated from the military to continue his education. Awards from his time in the military include the Bronze Star, Purple Heart, and Combat Infantryman’s Badge.